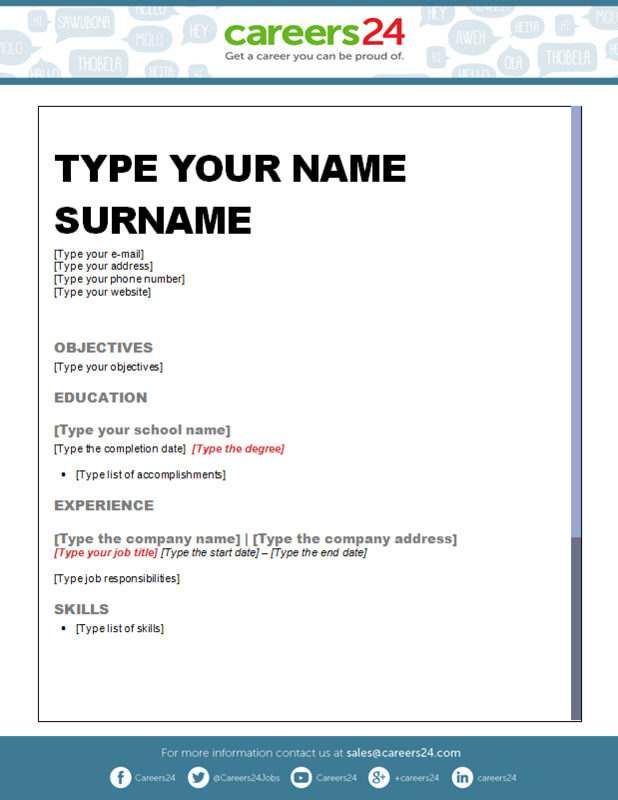 Choose your favourite CV from these free templates offered by Microsoft Word. 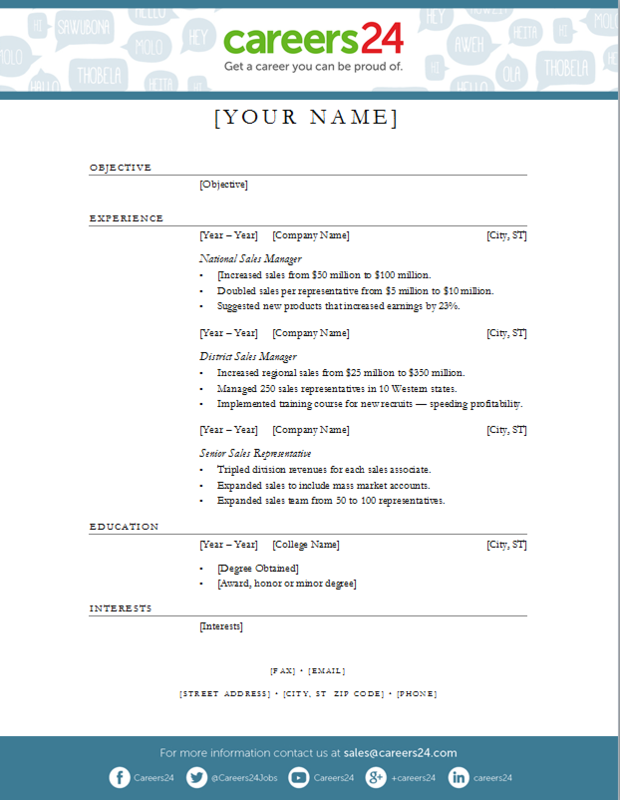 Your CV is your first opportunity to make a good impression. The format and content of your CV is the make or break between landing a job interview or never hearing from the company you want to work for again. 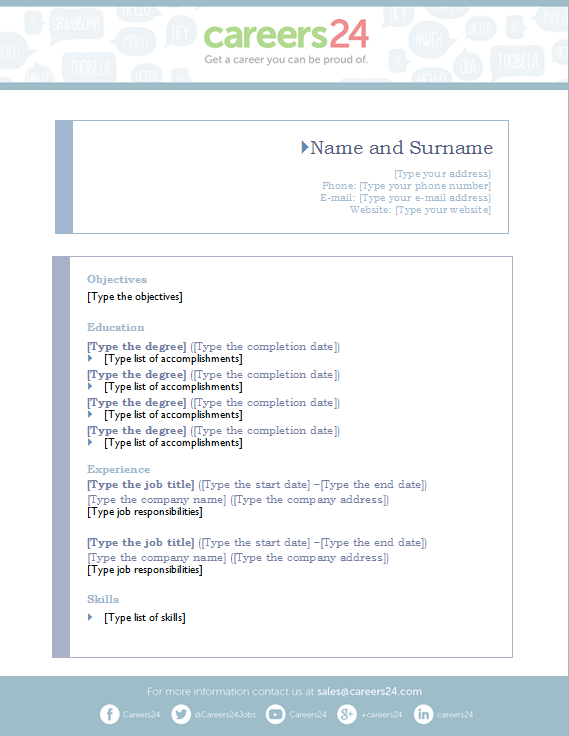 There are a few templates that are available for free on Microsoft Word that you can access through your computer by (a) Opening Microsoft Word; (b) Clicking File; (c) Choosing New; Double Clicking on the Resume and Cover Letters Folder; (d) and Choosing the CV which best speaks to your profession. We've made it easier for you to just click on the links below to download the Word document and fill in your own professional details. *Please note: A Microsoft Word prompt-box might appear. Click Okay, and then Yes, and then Enable Editing to add your own employment information. 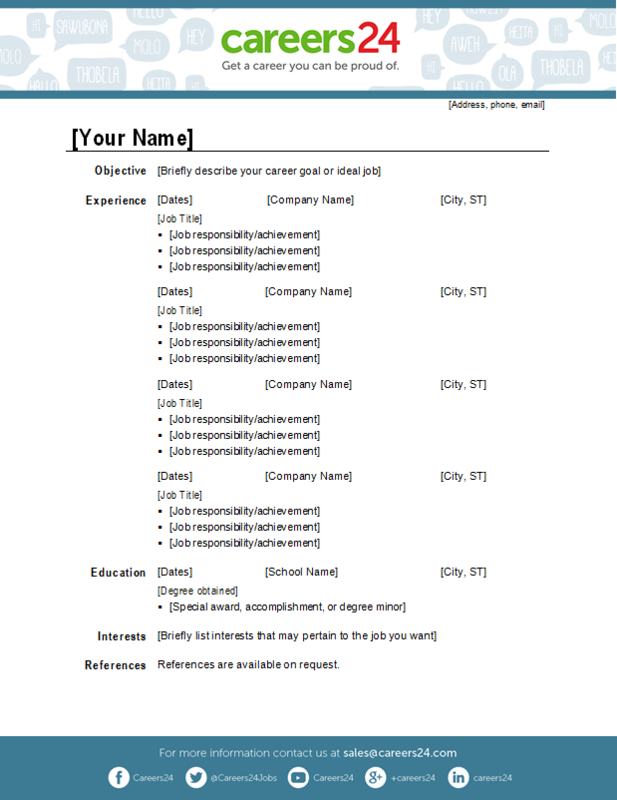 Did you know that Careers24 has already created a CV with your information? Once you're logged in to your profile, click here to download your Careers24 profile.